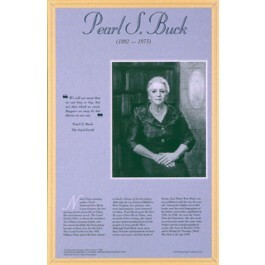 Pearl S. Buck is most famous for her stories about life in China in the first half of the 20th century. Here best-known novel, "The Good Earth," won the 1932 Pulitzer Prize. She received the Nobel prize for literature in 1938 for twin biographies of her parents, who worked as missionaries in China. 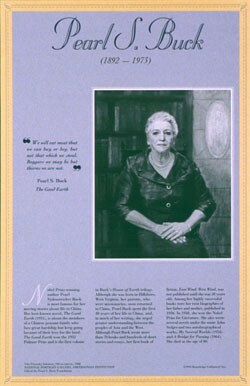 This poster is a great way to introduce students to this acclaimed woman author.